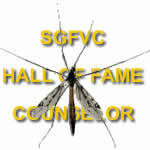 I nominated Uncle Allen Harberg to be an SGFVC Hall of Fame Counselor because he was my best SGF counselor, the one whom I'll always remember. He made lost kids feel special for the two weeks that he counseled them. I subsequently saw him only once - in 1972 - eating lunch in a Broad Street restaurant, but he was talking with someone so I let it slide. Uncle Allen was my bunk counselor in Bunks "C" and "D" during my first two years at SGF. I don't remember whether he returned to SGF after 1952. In 1951 he partnered with Uncle Sid Leon and in 1952 with Uncle Hilly. If anyone remembers or knows Uncle Allen, please ask him to sign in. Allen Harberg, 81, of Philadelphia, a real estate developer and entrepreneur who championed the cause of underserved neighborhoods, died Tuesday, Dec. 1, of heart failure at Chestnut Hill Hospital. 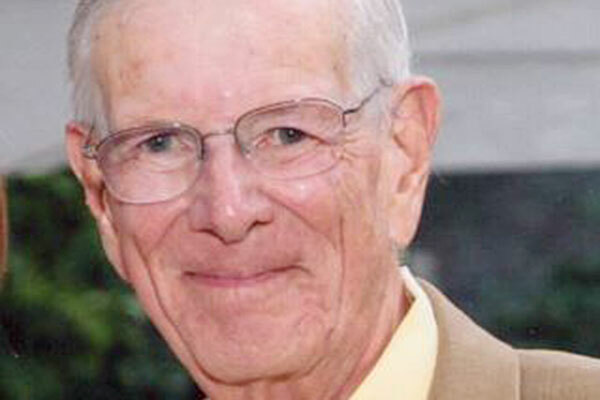 A graduate of the Haverford School and Washington and Lee University, Mr. Harberg was "an entrepreneur in the truest sense of the word," his family said. As a young man, he struck out on his own, developing the Philadelphia Marine Center, the Gateway Care Center, and a joint venture between Delaware County Memorial Hospital and Presbyterian-University of Pennsylvania Hospital to build nursing homes in Wayne, Havertown, and Paoli. He had a knack for helping clients raise capital with "the least drain on the operating budget," according to a 1984 profile in Focus, a business newsweekly. Mr. Harberg's clients included Jefferson Medical College, Fox Chase Cancer Center, Abington Memorial Hospital, and such nonprofits as the YWCA, Philadelphia College of Art, and Temple University. He was associated with Temple for 11 years ending in 1981 while also starting Institutional Property Services, his real estate development consulting firm in Center City. In a 1981 letter to Mr. Harberg, James Logan, Temple's vice president and treasurer, said Mr. Harberg had "helped to improve asset management" at Temple. Logan said Mr. Harberg had "pioneered the use of tax-exempt industrial bonds by nonprofit institutions" and had formulated other innovative financing methods. 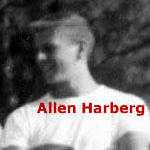 Mr. Harberg thought long and hard about what made for a successful real estate venture. In addition to business skills, he believed that "[personal] chemistry, psychology, knowledgeable control and a dynamic CEO" were essential, he told Focus. 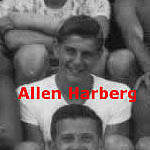 Mr. Harberg believed in giving back to the community. He dedicated many hours to serving on the boards of the Philadelphia Urban Finance Corp. and the Advocate Community Development Corp. 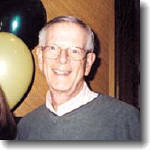 He was a volunteer staff member of the Rev. Leon Sullivan's Opportunities Industrialization Center (OIC) and Zion Non-Profit Charitable Trust. Mr. Harberg used his expertise to bring to life the $1 million Zion Gardens, the first apartment complex in Philadelphia owned by African Americans when it opened in 1966. He also was involved in OIC's 1968 development of Progress Plaza, a $1.9 million shopping center on North Broad Street, the first major black-owned and -run shopping center in the nation. 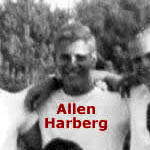 Mr. Harberg was recognized by the Senate of Pennsylvania for those achievements in 1995. He is survived by his wife of 46 years, Hannah Nilon Harberg; son Allen Jr.; daughter Amanda; two grandchildren; a sister; and nieces and nephews. Services are to be at 2 p.m. Sunday, Dec. 6, at Congregation Rodeph Shalom, 615 N. Broad St. Interment is private. Donations may be made to St. Joseph Villa, 110 W. Wissahickon Ave., Flourtown, Pa. 19031, or Finanta, 1301 N. Second St., Philadelphia 19122, a nonprofit lending corporation that promotes the growth of diverse Philadelphia communities.